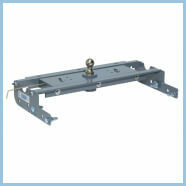 B&W Trailer Hitches are American Made and built to last. 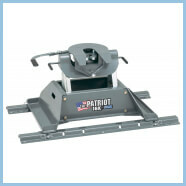 Their product line includes a variety of towing products. 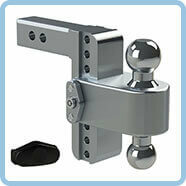 The TurnOverBall for gooseneck towing is the #1 selling gooseneck hitch in America. It’s a hitch when you need it, a level bed when you don’t. 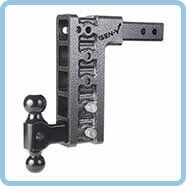 Gen-Y hitches are the toughest and most versatile drop hitch you can buy. 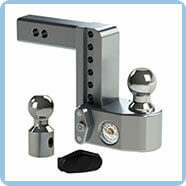 Diamond K Sales is a full-service Gen-Y dealer, so we have adjustable drop hitches, rubber torsion hitches, aluminum ramps, and more. Made in the USA. 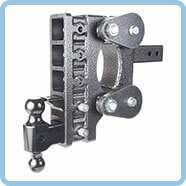 The Weigh Safe drop hitch measures the tongue weight of your towing load and displays that on the hitch for you. 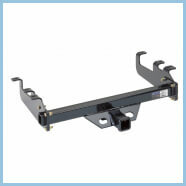 It’s easy to install and allows you to improve your vehicle tow load, safety, and performance. 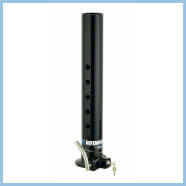 Three vertical adjustments from 14.75" to 16.75"